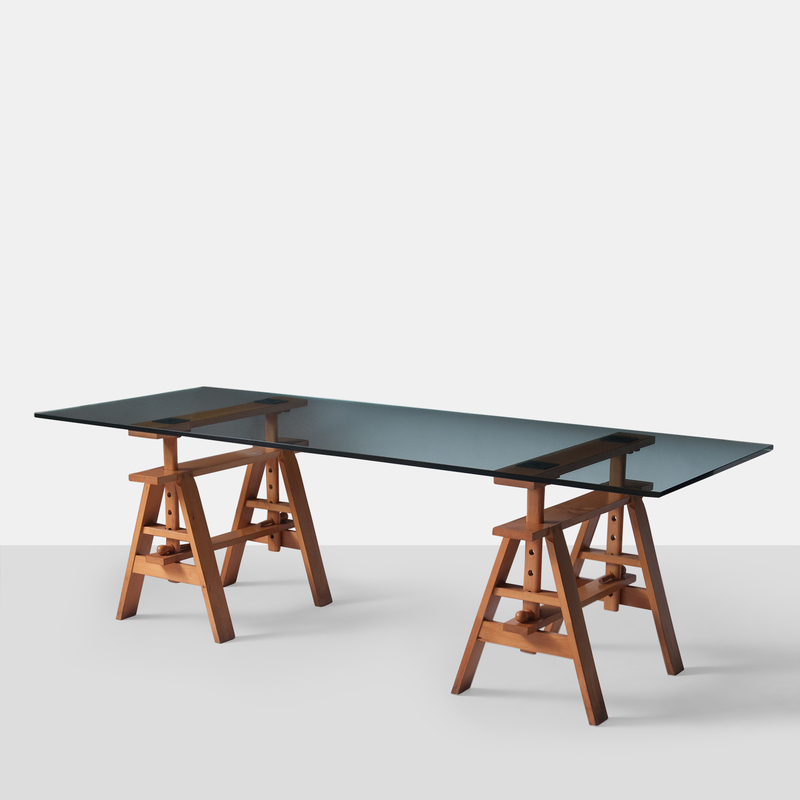 A large glass top table, “Leonardo”, with maple trestle base. 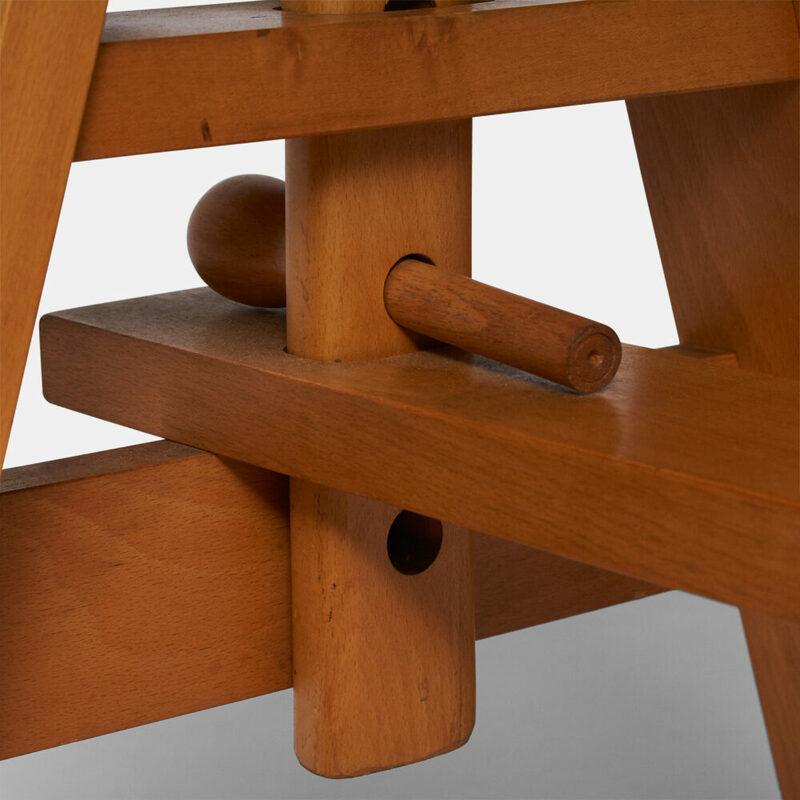 The height can be adjusted in 2″ increments from 24 to 32″ in height so that it can be used as a work, dining, or center table. 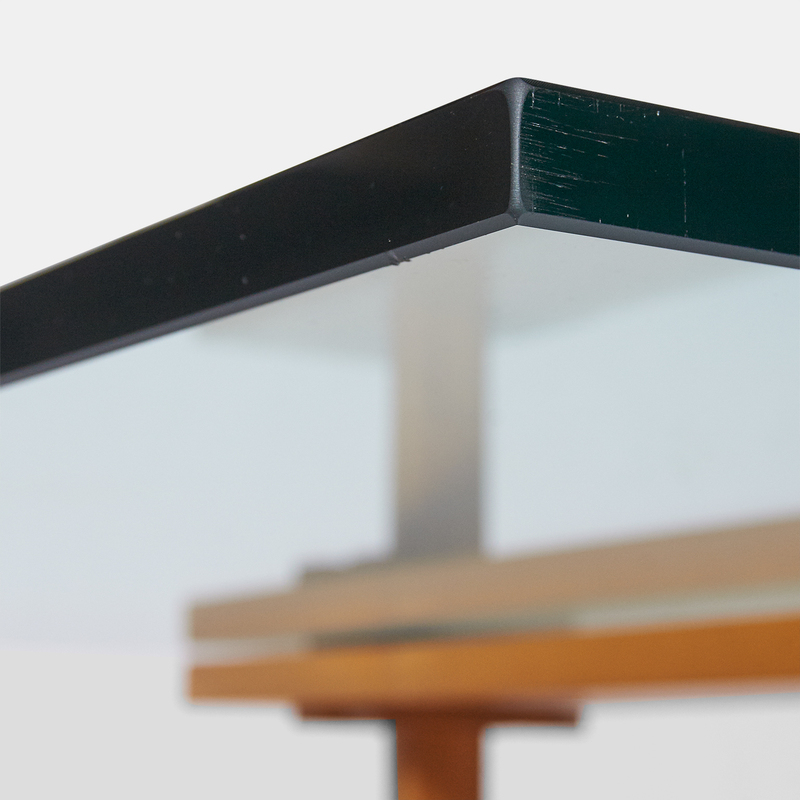 The table top is 3/4″ clear glass. 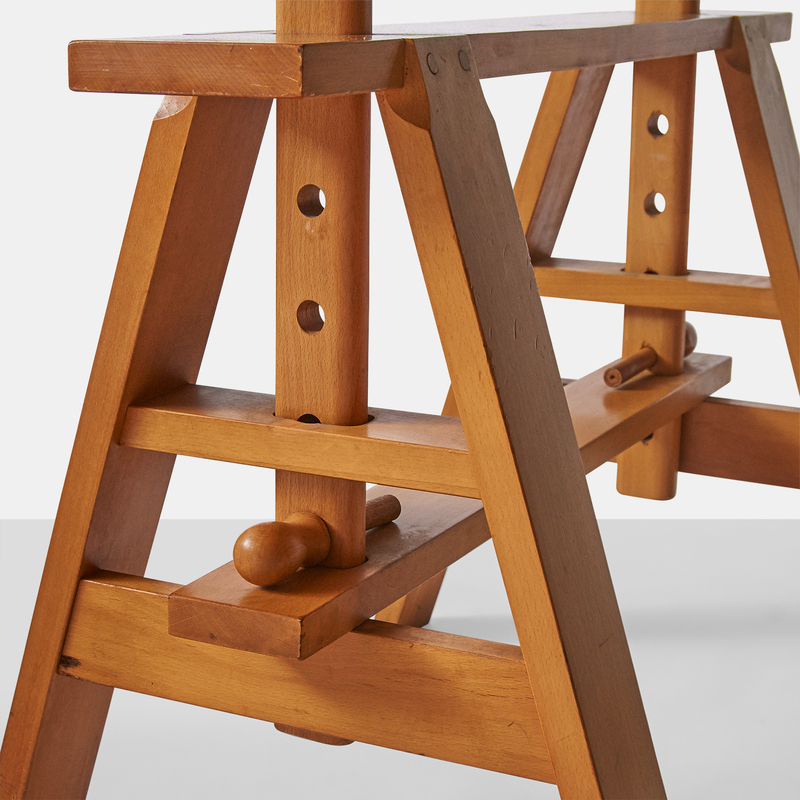 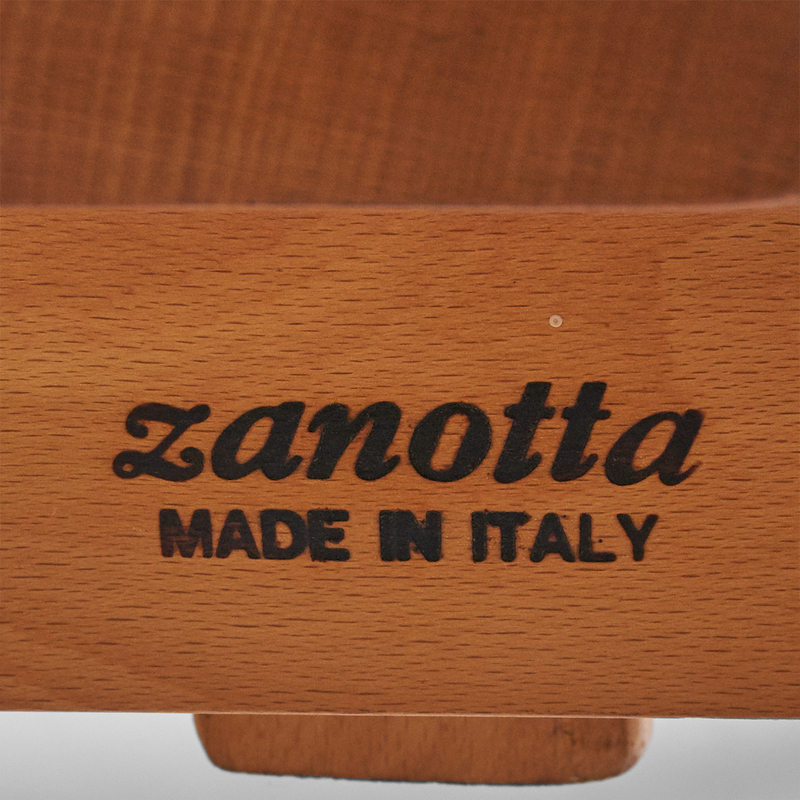 Designed and manufactured in 1968 for Zanotta, Italy.